The royale pedestal vessel stand is made of wrought iron and features a decorative vessel holder and scroll-footed framework with an antique brass finish. 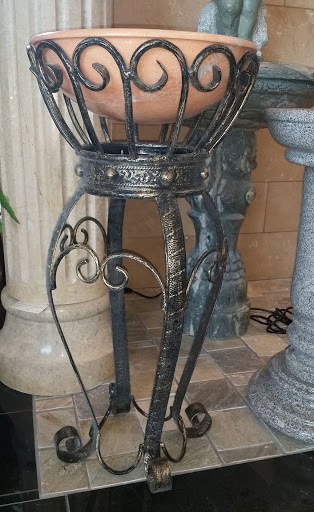 This Victorian pedestal vessel stand is also made of wrought iron with an antique brass finish. It features soft curved scrolls that surround the stone vessel sink to enhance any traditional home. 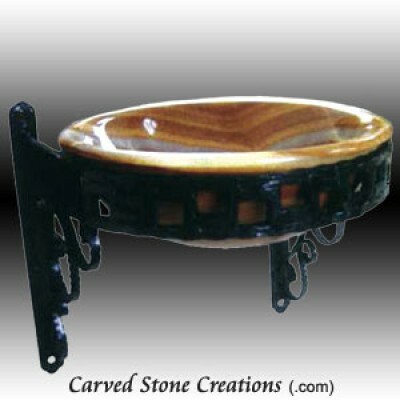 Wall-mount sink stands are perfect for small bathrooms and pair well with vessel stone sinks. The wall mounts, mirrors and faucets can be bolted to walls to provide extra space and a unique style. The Chisel and Decori wall-mount vessel stands have a classic, wrought iron, antique brass finish. The Chisel is designed with acanthus leaves on the back mounting rails and scrolled support ends of the rounded holder. The Decori is adorned with scrolling acanthus leaves on the support rim and framework. Both of these wall mounts have captivating levels of details in their design. The Espana wall-mount vessel stand features flat, wrought iron, scrollwork arms with a toothed edge and a geometric design with a black finish. Vanity sink stands may take up more space in your bathroom than a pedestal or wall-mount, but they also provide counter space. 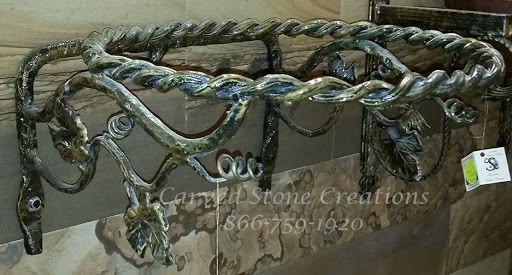 This wrought iron vanity stand features grape vine leaves and elegant scroll work to give your bathroom an artistic flair. 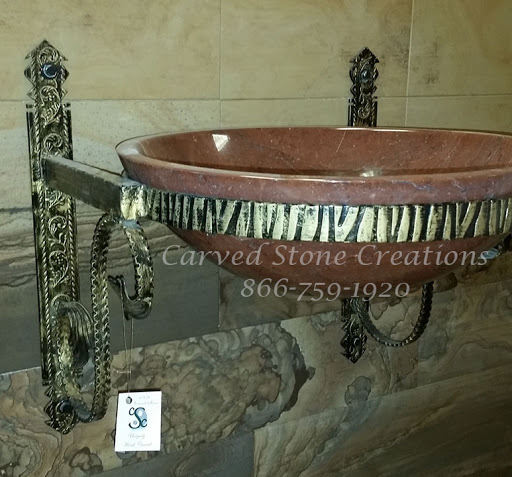 This antique brass finish stand goes great with our granite vanity top shown below. The vineyard stand has convenient towel bars incorporated into the design on both sides. 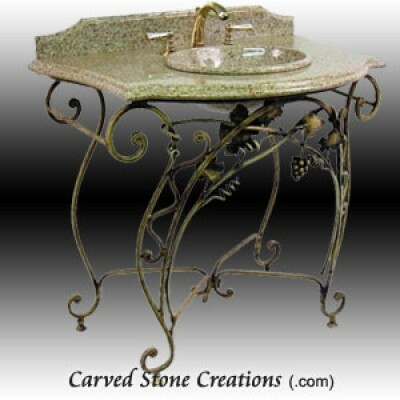 Its antique brass finish also goes great with our granite vanity top shown below. Anything catch your eye? Contact us for more details on any products you can see in your home!